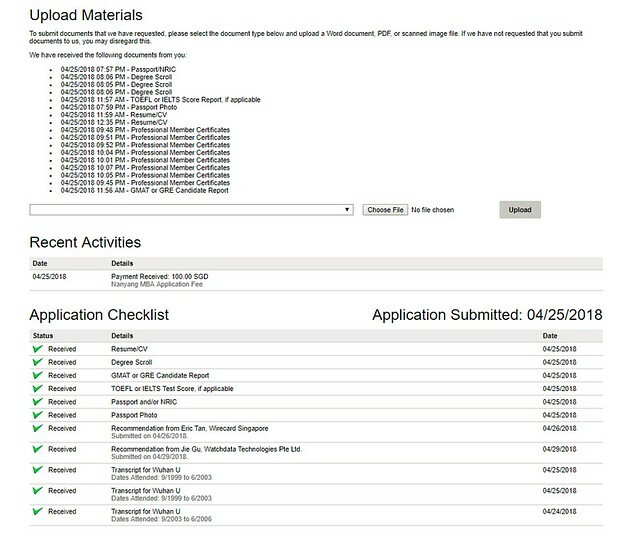 After I complete my GMAT exam on 20th April, I started to prepare the application for the part time MBA programme to the three Singapore local university, NTU, NUS and SMU. I received offers from NUS and SMU for the part time programme, after careful consideration, I decided to accept the offer from NUS. Attended NUS MBA Information Session at below venue presented by Ms Chua. 1. Highlights of The NUS MBA Programme and how the programme may change your perspective and career. 2. The curriculum of the programme and what to expect on your journey with The NUS MBA Programme. 3. Answer any questions you have about the programme and eligibility. a. I am passionate about… b. My greatest challenge has been… c. My biggest failure was …. For the first question, firstly I wrote about my biggest failure about one incident in my work, then changed to my passion about the sports (football and swim). The second question was quite straightforward, basically related to why MBA. The third question I wrote about my oversea experience in India and Latin America. I submitted the online application on 6th May 2018. 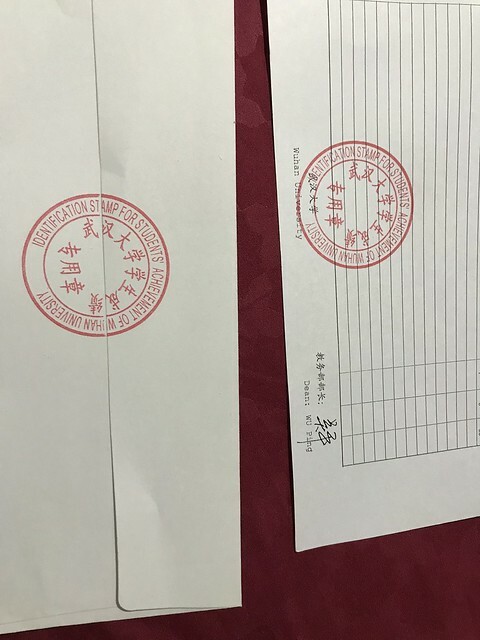 Two referees reports were from Eric and Gu Jie. The application fee was 100 SGD. 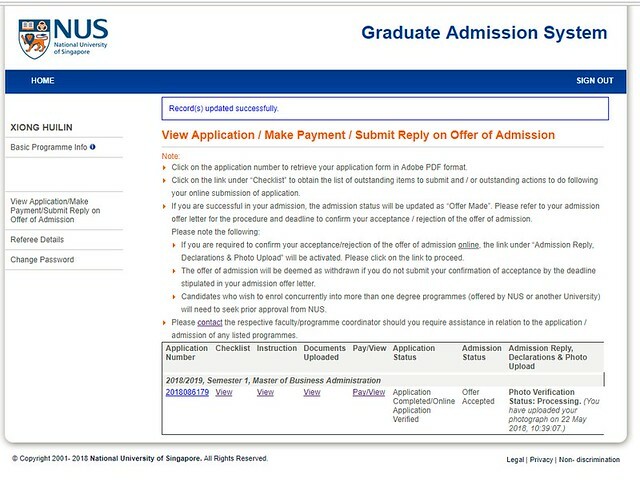 I received the interview invitation on 7th May 2018, one day after the application submission, NUS processed my application really fast. The interview was on 9th May 2018, Wed. 3.30 PM. The interview questions were mainly based on why MBA, why now, short term goals and long term goals. You can prepare some of the questions, but most of the questions require your quick response without scripting the answer, I would say if you script your answer, it shall be detected by the experienced interviewers, and brings reverse effect to your performance. Just be yourself and enjoy the interview, treat it like a conversation. The interview was lasting around 30 minutes. 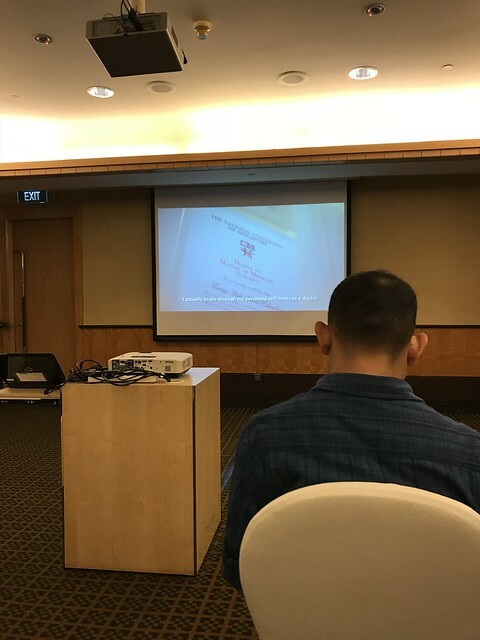 Started with the elevator pitch, no behavior questions, in the middle, the interviewer was challenging my motivation to pursue MBA programme, and it’s strange she was emphasizing the post MBA prospect will not be as I expected. I felt the interview time passed really fast, just a blink of eye. 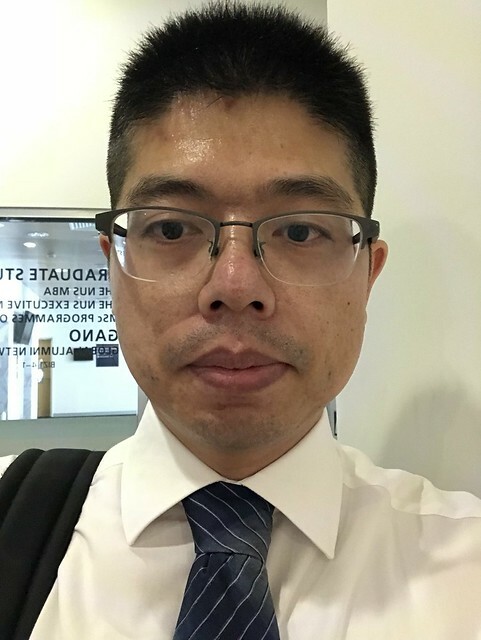 I received the offer email on 16th May 2018, 15:58 PM. 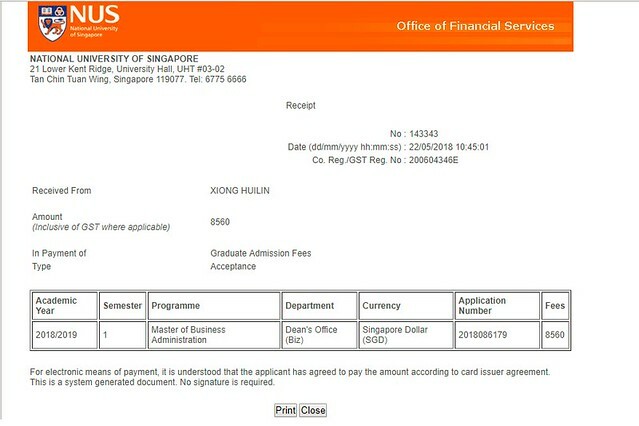 I accepted NUS Part time MBA offer on 22nd May, made the accept fee payment SGD 8560. I had Coffee Chat on-campus on Saturday (28th April), SMU admission admin was really helpful, willing to give all the help necessary, if I was able to submit your application by the 6th of May, SMU will be able to waive my application fee as I joined their coffee talk event. 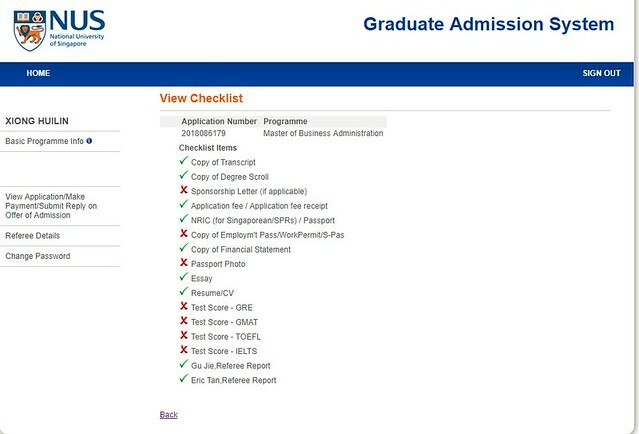 I submitted SMU part time MBA interview the same day (6th May) as NUS MBA. The interview was a nice experience, just like casual conversation, the interviewed tried to emphasize the advantage of SMU MBA, like American class style, strong ranking in finance, etc. 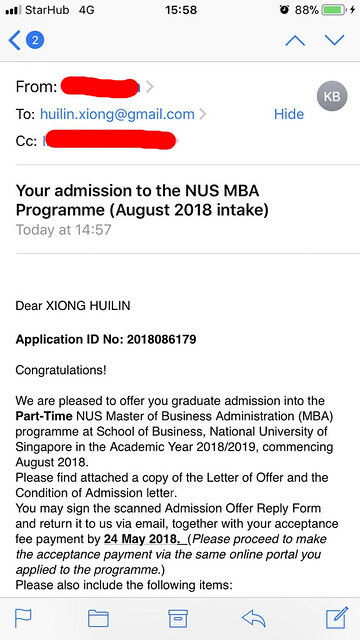 I received SMU part time MBA offer on 14th May 2018, as the deadline [17th May 2018, Thursday] was only three days. I politely declined the offer. 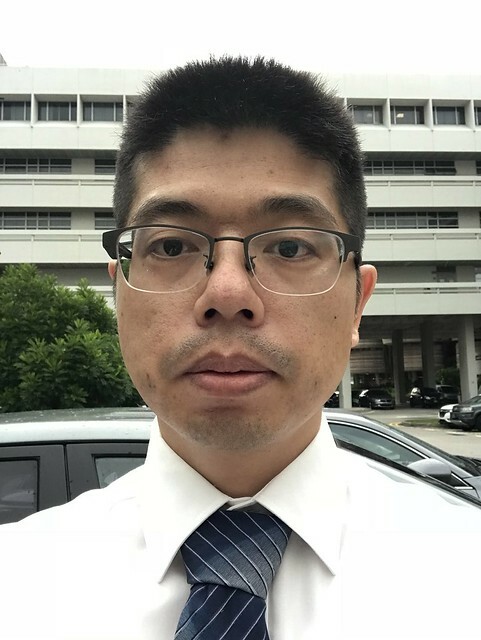 I started the NTU PMBA application the earliest, submitted on 25th April, and all the referee reports were submitted on 30th April, however I received the interview invitation the last among the three schools. 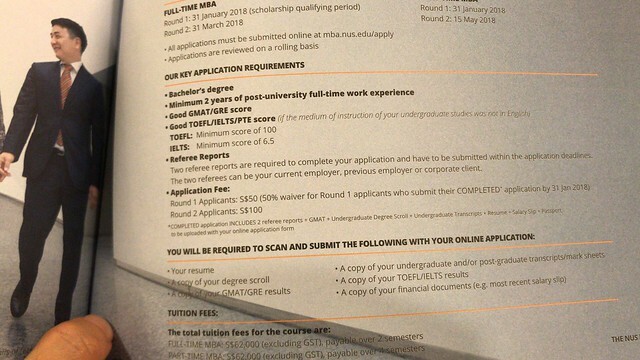 The application fee was SGD100. I had one-to-one coffee talk with admission admin, it was really helpful. I was interviewed by Academic Director of PMBA and one admission committee. Both interviewers were nice, and the whole procedure was like a casual conversation, I didn’t receive any challenge questions. 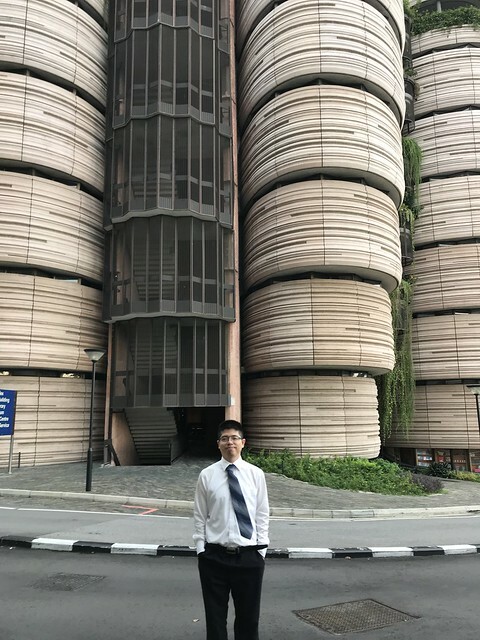 Unfortunately I didn’t hear back from NTU after my interview on 16th May 2018. Congrats on your MBA admission! Hi Terry, Thanks. Long time no see….